It may sound simple, but when a band comes to town they play at a venue commensurate with their popularity. The more popular a band, the larger the venue. Fortunately for fans of good music, talent does not necessarily lend itself to popularity (the term “criminally-underappreciated” has almost become a music critic cliche). So while concertgoers will almost always have to pay more to see a show at a larger venue, that doesn’t mean that larger venues always have the better shows. What follows is a brief guide to Pittsburgh’s smaller, more intimate concert venues. They are divided roughly into four categories: DIY venues, bars, promoter-affiliated bars, and clubs/lounges. Catch an incredible show at one of these places and you’ll always have that “remember when” moment. After all, everybody has to start somewhere. Ghost of Saber Tooth Tiger at Club Cafe on 6/22/14. Photo by Brian Conway. In many ways, DIY is live music at its most pure. No one gets rich off of DIY shows, and no one’s looking to, either. 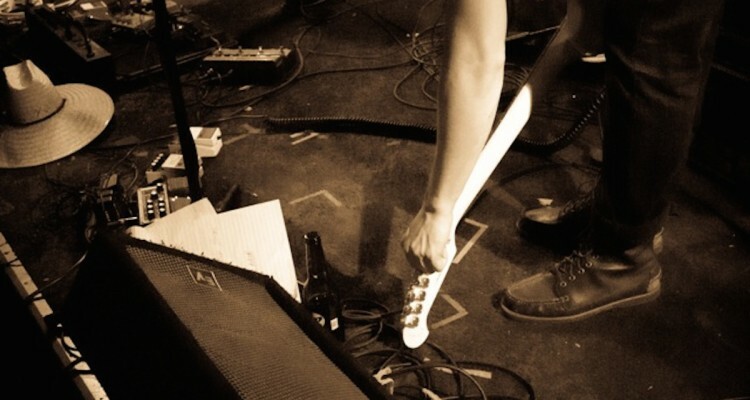 Self-promoted, self-billed, and self-organized, do it yourself venues provide a space for bands looking to build a following, or simply get out and play, without having to guarantee ticket sales or pay an arm and a leg to a promoter for a spot on the bill. The Mr. Roboto Project, which bills itself as a “cooperatively-run show space and art gallery,” is the heart of the local DIY scene. 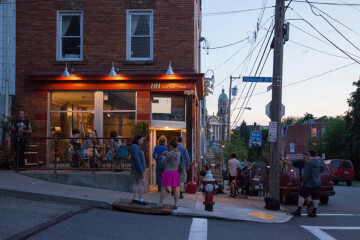 Originally based in Wilkinsburg, Roboto is presently located in Bloomfield, across the street from Spak Brothers Pizza. Anyone can become a member, and its the members who elect the five person board of directors. The formula has worked for over fifteen years now. There’s even a book out about Roboto. If you see a show at a DIY venue, chances are it is a punk band. There’s plenty of overlap between the punk and DIY scenes, both of which share an antiestablishment ethos centered around freedom of expression, self-sustainment, and self-empowerment. Most of the Pittsburgh’s DIY spaces are also art spaces, and the good ones make an effort to be a positive force in the community at large. 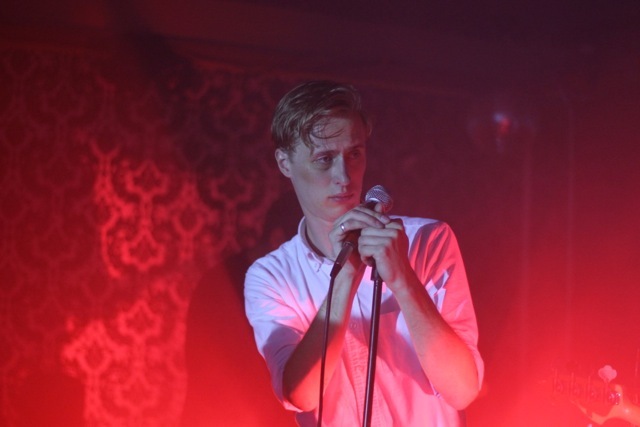 Eagulls performing at Brillobox on 6/11/14. Photo by Brian Conway. There are plenty of bars in Pittsburgh that boast live music, but three in particular stand out from the crowd by bringing in bands worth the price of admission: Howler’s in Bloomfield; Gooski’s in Polish Hill; and 31st Street Pub in the Strip. All three venues are no-frills and without pretense, which, come to think of it, are the hallmarks of any quality Pittsburgh bar. You can catch both local and national rock acts at any of these venues on almost any given night for about the cost of a shot and a beer. Sure beats listening to the jukebox – unless you’re at Gooski’s, that is. The Crookes at the Smiling Moose on 7/10/14. Photo by Brian Conway. Brillobox and the Smiling Moose are the bottom rung venues for the Coke and Pepsi of Pittsburgh promotion companies, Opus One and Drusky, respectively; they have the backing that other bars just can’t match. As a result, both venues possess an ideal combination of intimacy, low ticket prices, and hardworking, talented bands that might just be on the cusp of fame. The Smiling Moose, as befitting a Drusky venue, tends to host more metal, punk, and hard rock acts. Some of the lineups from just a few years ago sound like a dream bill today. In 2011, Deafheaven opened for Russian Circles, and in 2013, FIDLAR played with The Orwells. Brillobox, in addition to being a nice spot to catch finer local artists, has developed a reputation as the go-to spot for up-and-coming indie acts: Sleigh Bells played there in 2010; Grimes in 2012; and San Fermin in 2013. Concerts at both locations are on a dedicated second floor. Brillobox’s upstairs is a bit smaller, though maybe the black and white damask wallpaper just makes the space feel more intimate. There’s another bar upstairs at both venues, but since most shows at the Moose are all ages, theirs is usually closed. Its also worth mentioning that the Smiling Moose has an excellent menu. Chef Christopher “Lock” Cook, formerly of Café du Jour, is the charge behind the Moose’s small but bountiful menu and their numerous wins at the annual South Side Soup competition. The Moose is good for a show pretty much every night, sometimes two, whereas Brillo hosts only a couple a week. Both venues charge about $10 to get in although Brillo’s can reach $20 depending on whose playing. Brillobox’s shows are notoriously late (doors at 9pm), which makes weekday shows hard to attend for 9 to 5ers. The Smiling Moose takes for the opposite approach, with most openers hitting the stage at 6:30. Sometimes this disparity works out well: in July, I caught The Crookes’ entire set before shooting over the Liberty Bridge in time to see Snowmine at Brillo. 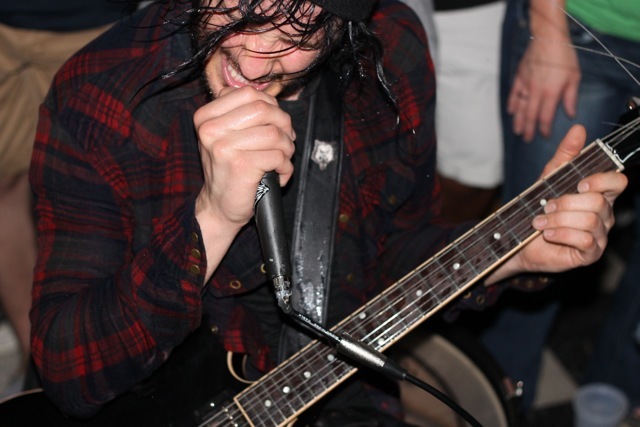 Reignwolf performing at Brillobox on 7/30/14. 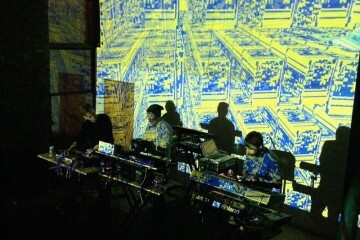 Photo by Brian Conway. There’s not much difference between catching a show at Club Café or the Thunderbird Café and seeing a show at a bar. There are some tables and chairs along the perimeter, and much less graffiti in the bathrooms, but by and large you’re still standing in an open space and listening to live music. Like the difference between a bar and a lounge, or a diner and a café, it comes down to ambiance. The Thunderbird is a split-level performance space with the stage at one end and another viewing level up a small flight of stairs at the other, with a small bar in the back. Your best bet is to get there early and snag one of the tables at the front of this second level for an unobstructed view of the entire performance. Otherwise, you can always just stand in front near the stage. Club Café is a largely open and inviting space with a bar on one side and a row of tables and chairs along the other. But don’t get fooled into sitting at one of the tables: as people file in and stand by the stage, your view will become almost completely obstructed. One of negatives about these venues is that their layout requires bands to pass directly through the crowd to get back to the dressing rooms. 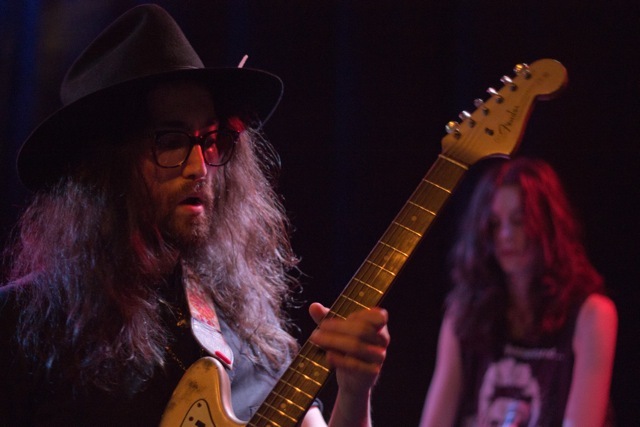 It’s just not practical to leave and come back for an encore, so sometimes the last few songs just ends up getting lopped off, as was the case when Sean Lennon’s band played Club Café in April. But this is a minor complaint. Both venues, like Brillobox and the Smiling Moose, are intimate and affordable. Opus One does a great a job of keeping Club Café’s lineup fresh and diverse, and the Thunderbird, which draws acts from Drusky, Grey Area Productions, and The Consortium, always has an eclectic mix. 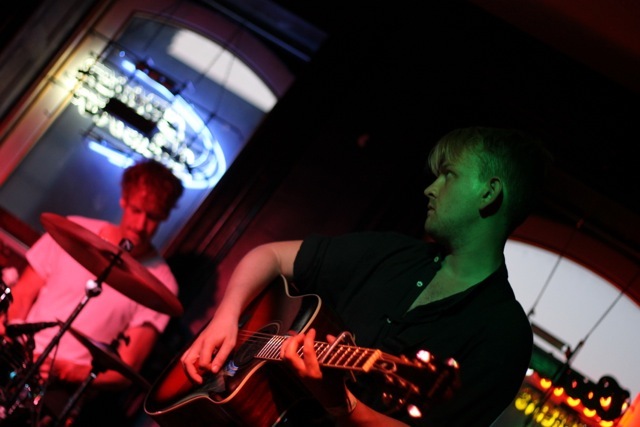 Both are also home to a Monday evening open mic night, where you can hone your chops before your first gig at Roboto. Look for Part 2: larger music venues coming soon!